I’ll give you two guesses to come up with what I *almost* finished today! A little handsewing and putting the back on these… and… I’ve only one more to do! I’m not exactly timely… but, if you don’t tell ’em, they won’t remember! 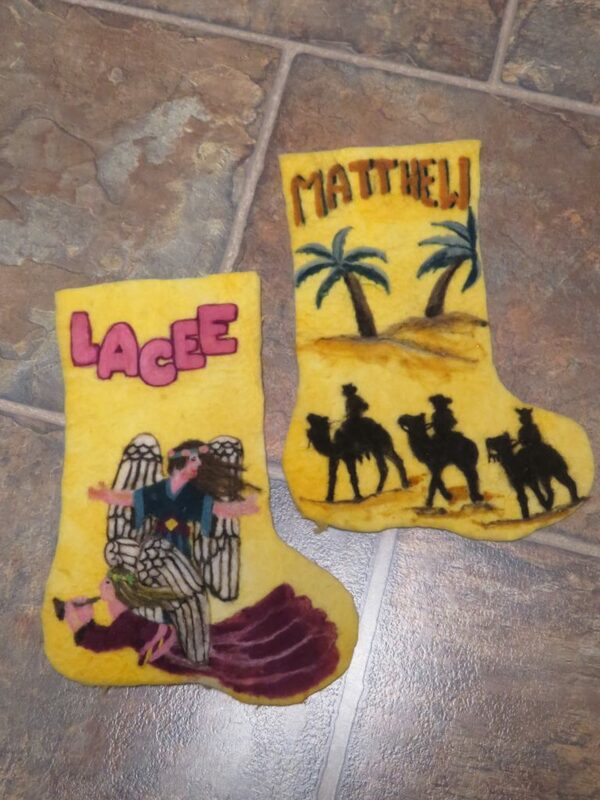 Christmas stockings for two of your grand children. Lovely. Are the designs painted on the fabric ? They are needle felted wool… it’s a fun technique! Wow!! These are amazing Carol. The GKs will love them.